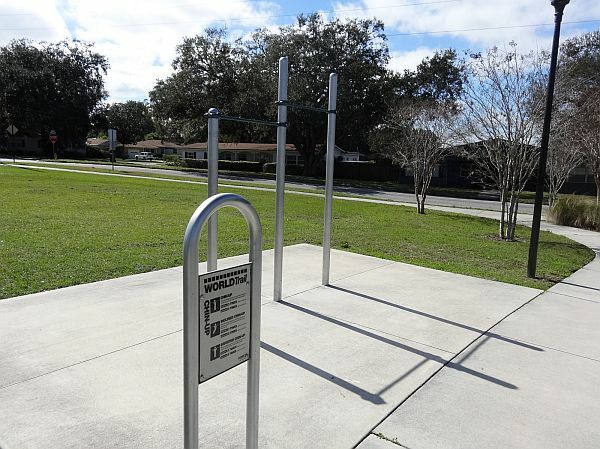 parks to promote healthy lifestyles, encourage community involvement and enhance the quality of life for the residents of Winter Garden. Jesse Brock Community Center, Winter Garden FL 34787. 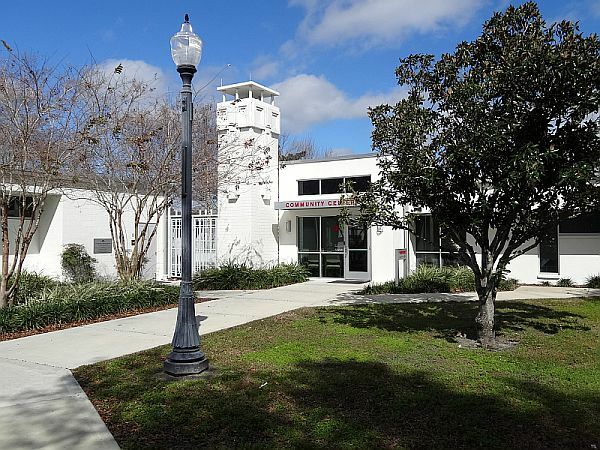 The Jessie Brock Community Center is home to the offices of the Winter Garden Parks and Recreation Department and is also the place for recreational programs and classes provided by the City of Winter Garden. 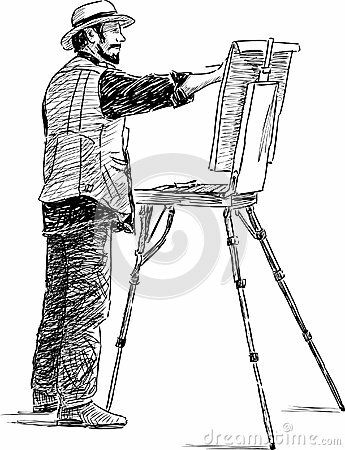 The Rec Department provides numerous art classes, athletic programs, community events, exercise and dance classes, summer camp for kids and more. Jesse Brock Community Center, Winter Garden FL 34787 Recreation Center. The community center is an ideal location for weddings, birthday parties, reunions, or other social functions, with a state of the art kitchen, ice machine, and seating and tables for up to 175 people. The park just outside the center is a great place to get some exercise or to just relax on a park bench and watch the ducks. 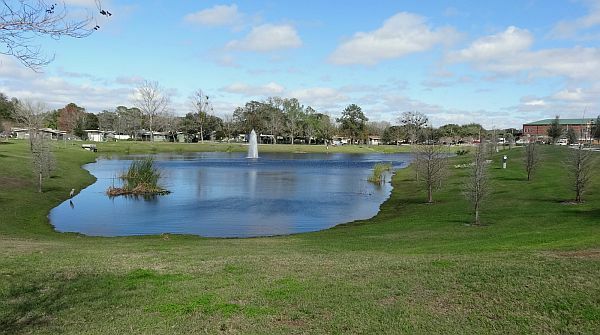 Walk or jog along the trail that winds around the large pond with a fountain. There are outdoor fitness stations in various locations along the trail too, perfect for a great workout. Pets are allowed at the park too, as long as they are on a leash. Tanner Hall located at 310 N. Dillard St.
Little Hall located at 31 W. Garden Ave.
taken place at the Jessie Brock Community Center. For more information on any of their programs, call the Recreation office at 407-656-4155. Go to www.wintergarden-fl.gov to register for courses. Seniors: Critic's Choice (restaurant), Smart Driver Course, Bunco, Chair Dance Aerobics, Crochet, Duplicate Bridge, Games, Cards & More, Writing Group, Internet, Book Club, Walking Club, Bowling, Day Trips and more. More: Guitar Lessons, Irish Dancing, Dance, Music, Horticulture, Landscapes, Sewing, CPR Certification classes and more. Youth Camps, school Holiday camps, Summer Camp, Camp counselor training, Aquatics. The Jessie Brock Community Center was formerly the home of Dillard Street Elementary School until the school moved to another facility across the street. The City of Winter Garden purchased the old school building, renovated it and re-opened to the public in January of 2010. 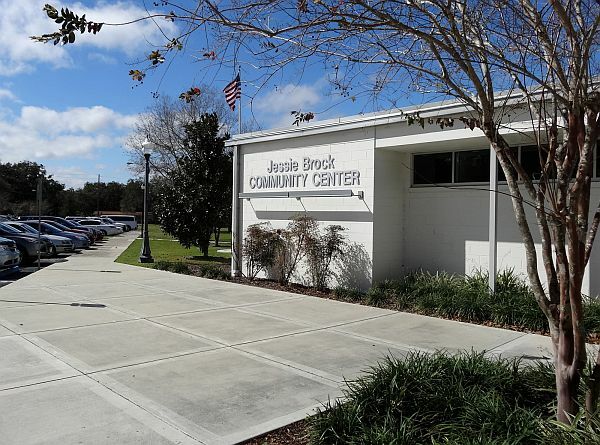 The Community Center is named after the former principal of Winter Garden Elementary, Jessie Brock, who served as principal of the old school on North Main Street for 44 years. 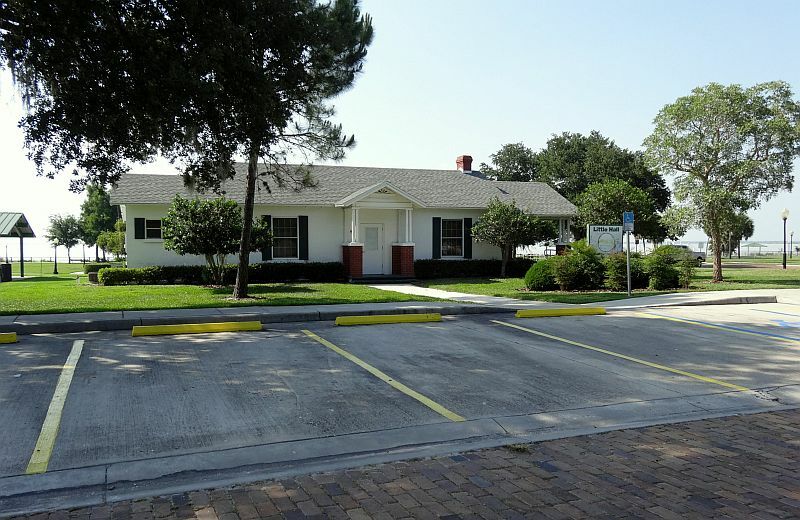 LITTLE HALL on Lake Apopka is also available to rent through Winter Garden Parks and Recreation.